Landscaping is hard enough. You shouldn’t have a machine that makes it more work. ASV produces a product that gets the job done right and treads lightly wherever it goes. 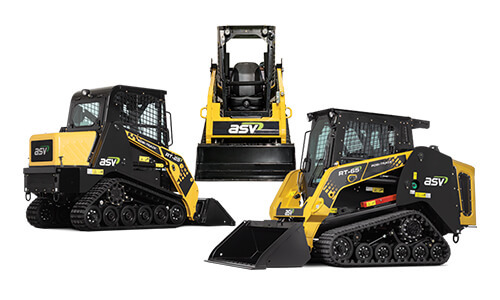 ASV machines are built to have a greater impact on the job and less impact on the jobsite. We make our machines that way to help landscapers work faster without damaging the ground they work on. World-class power is standard on our landscaping machines. That power goes straight to the patented internal drive sprockets where all power is transferred to the track, efficiently, regardless of speed. When you choose ASV, you choose the industry’s highest ground clearance, best traction, longest track life and lowest ground pressure. Go further, for longer with minimal impact on the ground you work on. You can’t afford to get distracted by a sore back, annoyed by a cramped working space, saddled with clunky controls or constant curb hopping. ASV designs its cab for your comfort because the only thing more important than the machine is its operator. When you get moving you want to stay moving. That’s why ASV machines are made to be the most serviceable machines in the industry. Check fluids, do daily maintenance and keep moving.